Advanced Fire Doors are Melbourne’s leading fire door installers with more than thirty years of combined industry experience. Fire safety is critically important for your home, business, work site and all properties. It’s important to have the best expert advice when it comes to the safety of your property, family, employees, tenants, and clients. There are no shortcuts when it comes to first-rate fire safety and we strive to provide our customers with the very best service for protection and security. Advanced Fire Doors specialises in smoke and fire escape doors, including fire door installation repairs, replacements, and maintenance. 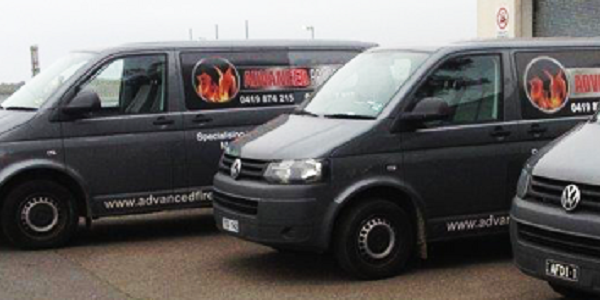 We offer competitively priced fire safety inspections that fully conform to the industry’s Essential Service requirements and all of our products comply with current Australian legislation for standards in this industry. Should an inspection reveal you need fire door repairs or replacements, we can offer this service, but will never recommend it unnecessarily. Call Advanced Fire Doors today on 0419 874 215 and chat with our friendly, experienced staff about all of your fire door repair, replacement, and inspection needs. We have a wide range of products and services that will meet the unique requirements of your property. With more than thirty years of combined industry experience, we pride ourselves on our high quality service, wide range of products, dedication to safety, reliability, and commitment to delivering complete customer satisfaction. We’re an experienced and respected company with a large portfolio of high profile clients who do not hesitate to recommend our services and trust us for providing the best fire doors in Melbourne. We offer the sale of top quality fire door brands, including Lorient, Lockwood, and Dorma. With frequent use, the variety of moving components that make up fire doors can become worn and malfunction. Smoke doors can contain the spread of smoke throughout a building, providing a safe escape route for occupants. Advanced Fire Doors can ensure all of your factory escape doors conform to the current Australian legislation. Advanced Fire Doors offer a full Fire door installation service, performed by our high skilled, experienced staff with years of industry experience. Advanced Fire Doors can supply and install Sliding Fire Doors that conform to the current Australian legislation.